Try these delicious recipes from Campbell's®. Tender strips of beef sirloin are quickly sautéed and combined with beef stock, mushrooms, egg noodles and sour cream for a simple, one-skillet dish that's ready in just 45 minutes. These fabulous sandwiches feature pork shoulder that is slow cooked in a scrumptious, sweet and tangy sauce to be served on sandwich buns. Feeding a crowd? What's better than green bean casserole, with its flavorful combination of cream of mushroom soup, green beans, and crispy French fried onions? It's a crowd favorite! Here's a fabulous side dish that pairs well with almost any entrée. Broccoli is mixed with a flavorful cheese sauce, topped with buttered bread crumbs and baked to perfection - all in less than 45 minutes! Need a quick and tasty dish to satisfy your family? This easy skillet supper featuring chicken, broccoli and brown rice simmering in a creamy gravy is delicious and ready in a snap. 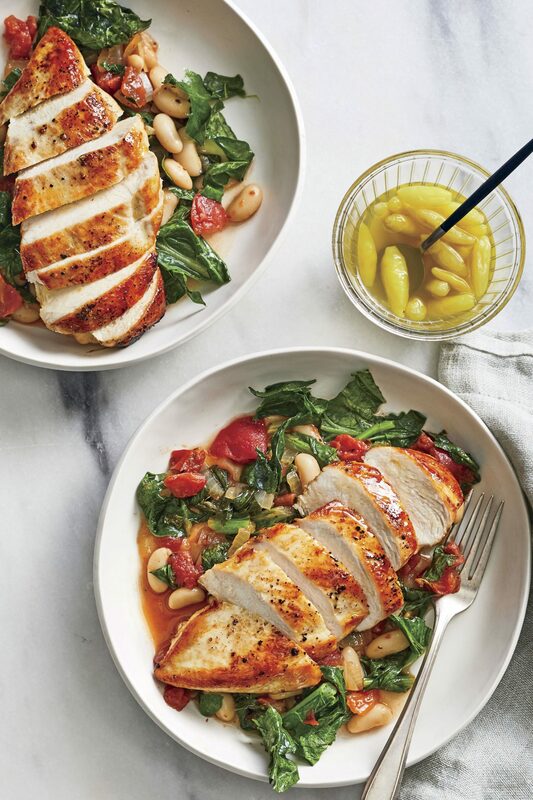 Here's a quick-cooking dinner idea that's fits into your busy day. Chicken and a seasoned stuffing combine with an herbed creamy sauce for a hearty casserole that's a favorite for kids and adults alike. Slow cooking this tender pot roast with some flavorful vegetables and a few on-hand ingredients yields mouthwatering results. Put it together in the morning, and when it's time for dinner, it's done! A few pantry staples mix with chicken and frozen peas to make a quick-cooking casserole the whole family will love. Linguine is mixed with pieces of tender chicken and broccoli flowerets and coated with a rich, satiny Alfredo sauce featuring Campbell's® Condensed Cream of Mushroom Soup, milk, Parmesan cheese and black pepper to make a quick and fabulous dish. This comforting and delicious casserole features chicken, veggies, noodles and lots of cheese...you can make the entire dish in less than an hour, and when dinner is served, everyone will be happy. Chuck roast, potatoes, celery and carrots simmer to tenderness in the slow-cooker with an Italian-inspired tomato sauce made special with Campbell's® Condensed Tomato Soup.